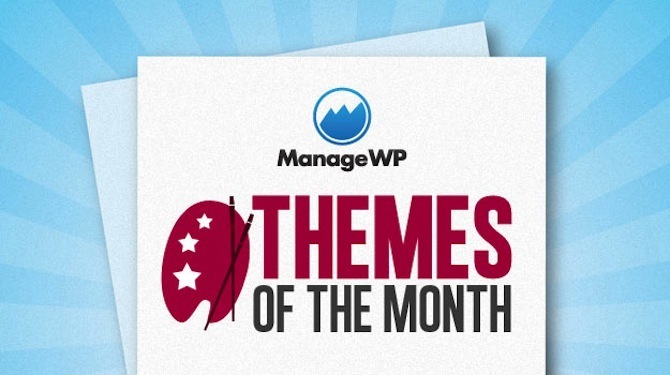 I’ve got a really great selection of themes for you this month. I’d be happy using any of them, which ought to say something for their overall quality. What I particularly appreciate about this month’s group is they’re largely multipurpose and are suited to both personal and business sites. A major through line with each of these themes is an emphasis on imagery. All of them sport large, customizable header areas and large featured images that are bound to attract your visitor’s attention. What do you think of this month’s selection? Let me know in the comments below. Enjoy! 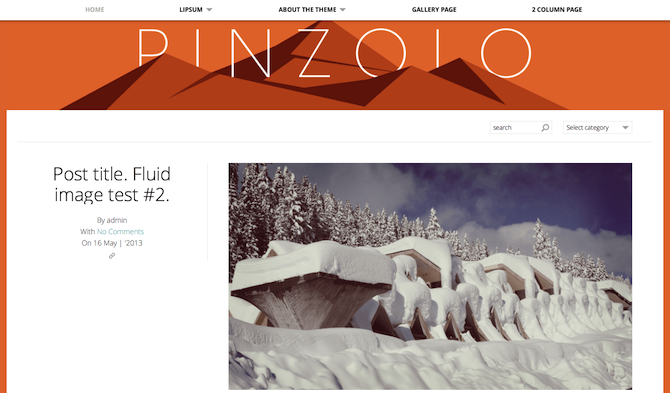 The Pinzolo theme from Thrive is a fully responsive theme that promises to be easy to customize. It’s very simple and allows for large featured images. The built-in theme customizer allows you to swap out the header image and featured image header on all posts and pages as well as set the colors for text and links. Or change up the background color for a completely custom look. It’s optimized for mobile and widescreen viewing and features a fixed menu for easy navigation. In the mobile version, the menu converts to a drop down and tiny Nav. Additionally, Pinzolo uses Ajax loading for blog posts, which is a great feature for boosting your visitor’s on-site time. Available from YoArts, the Flat theme is minimalistic and flat, as its name would suggest, offering up a clean layout that skips the bells and whistles for a straightforward look. But it’s not without style. Described as “charmingly flat,” in its WordPress directory description, this theme is fully responsive and retina ready. It also allows you to swap out the background, change the sidebar color, and it establishes an off-canvas sidebar for mobile devices. It’s compatible with WordPress up to version 3.8.1 and is translation ready. If you value large images that command attention, the Hemingway thing might be perfect for you. It sports a very large header image and prominent typography to make for a stylish look that you can easily customize. Add accent colors and use your own images, if you wish. The theme supports four different post formats in all, including standard, video, aside, and quote. And in terms of technical specs, it’s on par with the other themes discussed so far. It’s responsive and suitable for high-resolution screens. Developed by NimbusThemes, Cirrus is lovely and light, a perfect theme for bloggers and businesses, alike. It’s based on Bootstrap 3 and is mobile friendly with a totally responsive layout. It’ll look just as good on your smartphone as it will on your desktop, which is a must nowadays. 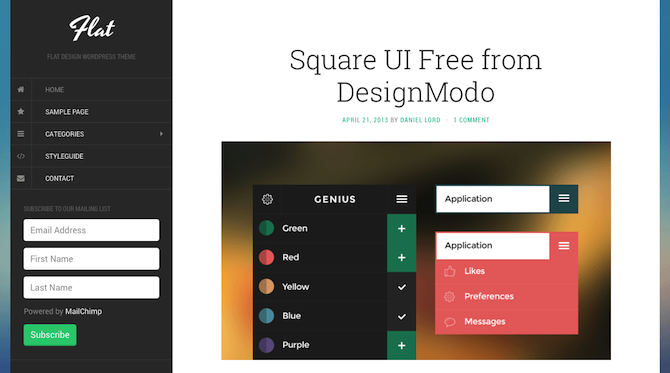 You can select from a variety of color options, display featured posts, and display widgets. It’s translation ready and features a full-page width template if you want to forego the sidebar. The Lite version is available for free and more advanced customization options are available with a Nimbus subscription. The top theme for this month is called Spacious. It can be used for a variety of different purposes, from business or agency sites to portfolios to blogging. It offers up multiple page layouts for the utmost flexibility as well as six different page templates, and 13 widget areas. It also comes with five custom widgets specifically designed for those using the theme for business-oriented sites. Additional features include the awesome slider, a boxed and a wide layout, a light and a dark color skin, and a color matching option to ensure the theme goes well with your logo. 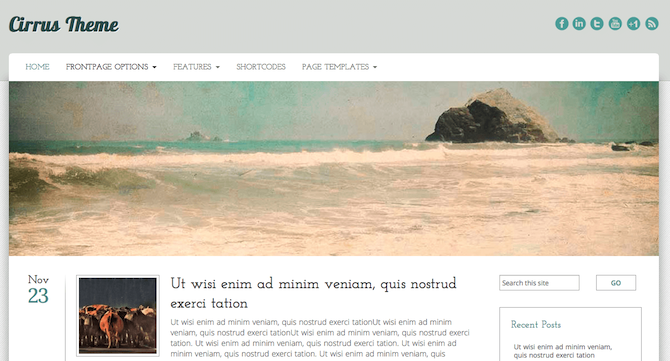 The theme is fully responsive and translation ready. Very nice list. If you have pagespeed focusing themes, i will be glad. Thanks again. Hey, Tom thank you. My favorite flat theme, Thansk for sharing this nice themes. Nice collection, I like all the themes. I prefer Flat theme. This is a great list and the minimal designs are really attractive. 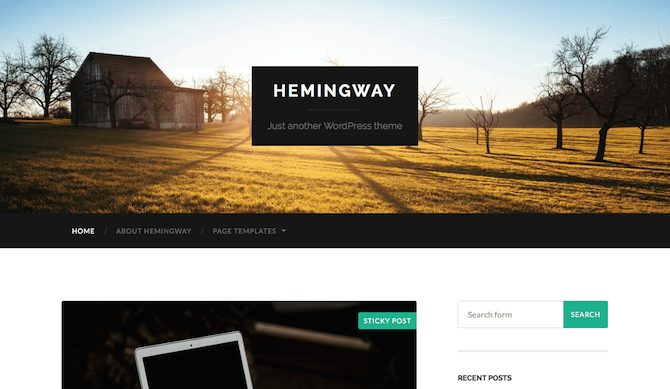 Thanks for sharing this premium wordpress themes. i already have got my own wordpress theme but still like to check new themes. Good Luck! Hi, Tom nice collection brother.. keep your good word…. Thank for list,, its great..
Free themes are always welcomed 🙂 And honestly spacious looks a bit more that a simply free one! Thank you for this list, I really like Spacious and am now using it. Keep up the good work and I am now subscribed! Hello i m tapan patel…I’m thinking to create a blog related to education, so please send some best education related blog WordPress themes. Hi Tom, I’m using genesis framework 2.0.1 by free download (Pirate Copy). Does it harmful to my site..or is it safe for me for SEO. Plz help. I would never endorse pirate copies. In my opinion, developers work hard to create their work and should be compensated. I am using the Magazine Basic Theme and cant get the categories to show up – Can you help me out? Great List. I recommended your List as a WordPress Developer. thank you very much for Sharing with us.